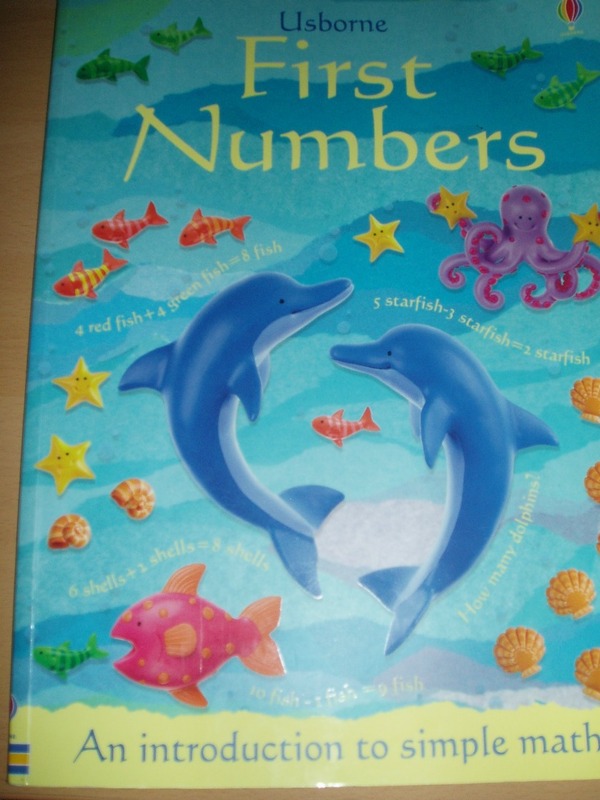 I have picked up some lovely books at our local Oxfam shop recently and one of my favourite finds was this Usborne First numbers ( I have seen these books for sale on ebay and on Amazon). 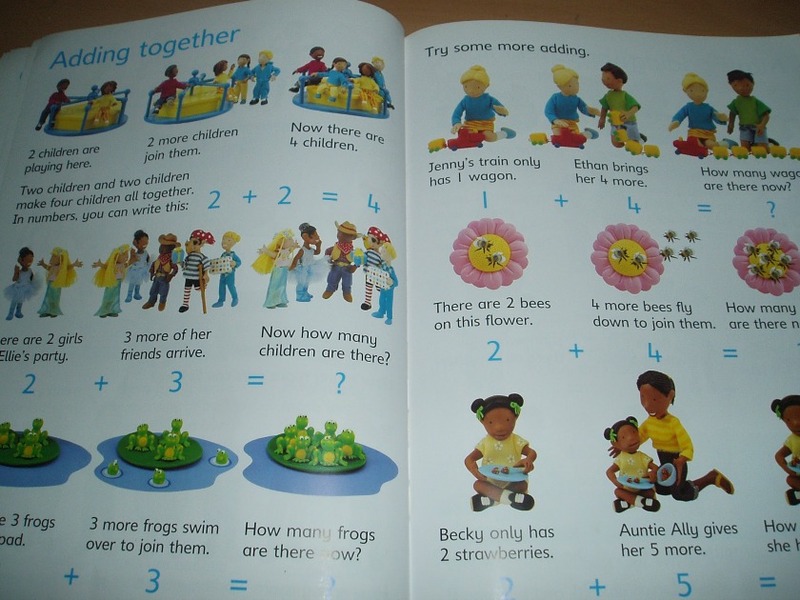 The book covers a number of basic first Maths concepts using lovely pictures that encourage discussion. The concepts covered by the book are Maths concepts which you would cover in the British Foundation stage (Reception) / Key stage 1. 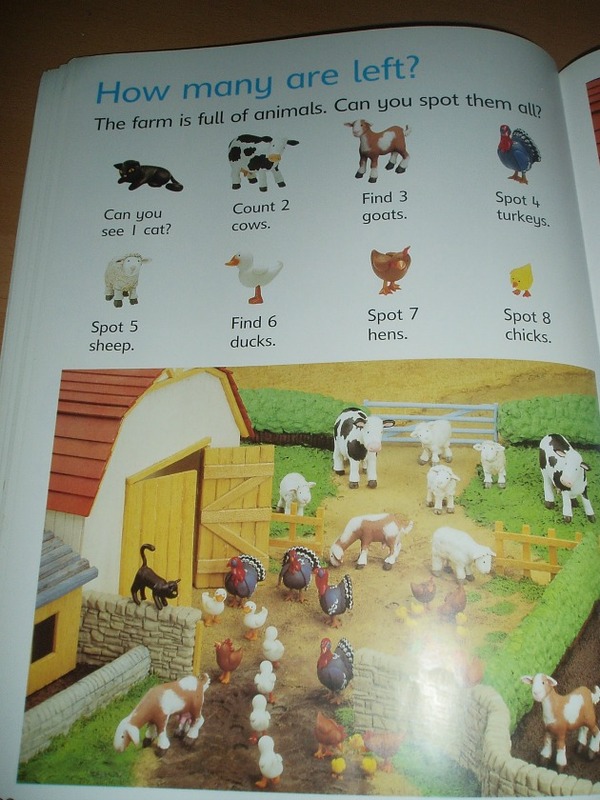 Counting 1 – 10 and 1 – 20 – including some great spot the animals on the farm and spot the items in a classroom and find the numbers in the town. (Blue who is 3.5 has been loving these pages). More or Less pages – I thought these pages where very good at clearly showing the difference (I really enjoyed the baking page on this area). One less – Pink loved doing the page where she had to work out which party food the naughty puppy ate. Multiplying by 2 – we have not looked at this yet. double trouble and half a bagel. A great book which allows you to do maths with the kids while sitting on the couch looking at the pictures and does not involve them doing any worksheets or needing to write any answers. I would highly recommend this book. This entry was posted in Book Ideas, Homeschooling, ks1 maths and tagged home ed, homeschooling, kids books, ks1 maths. Bookmark the permalink. 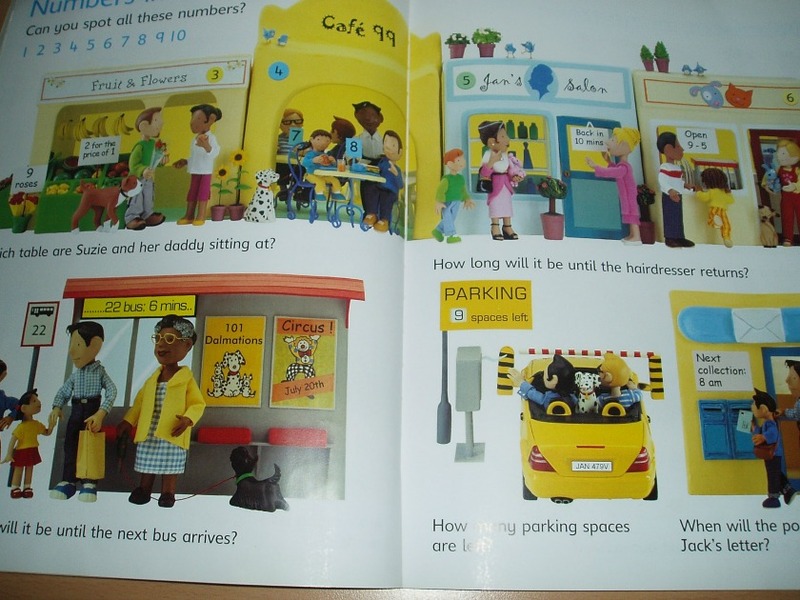 Usborne Maths has such beautifully painted pictures to keep the interest of the child. No wonder your children loved to learn the maths. Keep looking it is paying off.